Supply Chain Matters blog Editor Bob Ferrari recently had the opportunity to record a podcast conversation with renowned globalization scholar and international best-selling author Dr. Parag Khanna. 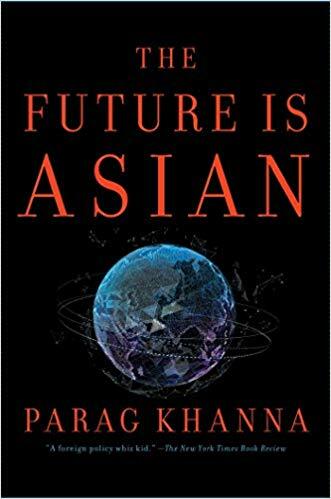 The newly released book, The Future is Asian, explores the world, and the future, from the Asian point-of-view, including global supply chain management shifts. Within our Ferrari Consulting and Research Group’s 2019 Predictions for Industry and Global Supply Chains (Available for Complimentary downloading in our Research Center) , we predicted that unprecedented levels of global supply network challenges will continue to concern C-Suite and industry supply chain management senior executives. In our prediction, we highlighted a strategic market report by the Economist Intelligence Unit, Asia’s Winners in the U.S.-China Trade War that predicted than the threat of an elongated trade conflict among the globe’s two biggest markets will cause production sourcing changes where other other Asian based regions would benefit. Similarly, a survey conducted by the American Chamber of Commerce in South China, published in November 2018 suggested that 70 percent of companies were considering relocating some or all of their manufacturing outside of China, preferably to other Southeast Asian countries. Another of our predictions, Prediction Seven, calls for a continued shifting of business priorities related to supply chain management or manufacturing focused advanced technologies such as Artificial Intelligence, Blockchain, Internet of Things, Predictive Analytics and other Big Data focused investments. This Editor believed that it would be very helpful for our readers to garner a perspective from on what is actually occurring across Asia from an industry supply chain perspective. It is my distinct pleasure to have the opportunity to be able to speak with renowned globalization scholar and international best-selling author Dr. Parag Khanna. Born in India and raised in Dubai, New York, London and Berlin, Parag is based in Singapore and represents the vanguard of global thinkers and entrepreneurs building the future world order from Asia outward. The New York Times cited Khanna as a “foreign policy whiz kid,” Nassim Taleb calls him a “visionary,” and Eric Schmidt has said the world must “pay attention to his ideas.” He has been a fellow at Brookings, New America, and the Lee Kuan Yew School at the National University of Singapore, as well as an advisor to the US National Intelligence Council and US Special Operations Forces. Khanna holds a PhD from the London School of Economics, and bachelor’s and master’s degrees from the School of Foreign Service at Georgetown University. He is a Young Global Leader of the World Economic Forum. Parag is the author of a newly landmark book, The Future is Asian, and I have had the opportunity to read portions of the advanced draft version. I have found this book to be engaging and eye-opening and it made me take a step back to view global supply chain strategy from a broader geo-political lens. Parag was gracious to accept my invitation to share some of his observations and insights with our Supply Chain Matters reading audience in a recorded podcast, and I sincerely thank him for that. In the podcast recording, we explore the purpose and synopsis of The Future is Asian, the specific notions of Southeast Asia taking the mantle of “factory of the world”, how Asia’s influential businesses would likely prioritize advanced technology investments along with thoughts and insights on the evolving Asian geo-political landscapes influencing the future of online B2C and B2B commerce over the coming three-year window. Please take the time to hear and adsorb the insights a very insightful Asia-based thought leader on implications for global supply chains.